I’ve been trying to branch out with how I use watermelon. Summertime means killer deals on watermelon. I love eating it by the slice, but I want to make sure I show my family that watermelon has so much more to offer. I’m sure you remember my cilantro-lime grilled watermelon. Deliciousness. This salad is the same. A little wild, but totally delicious. 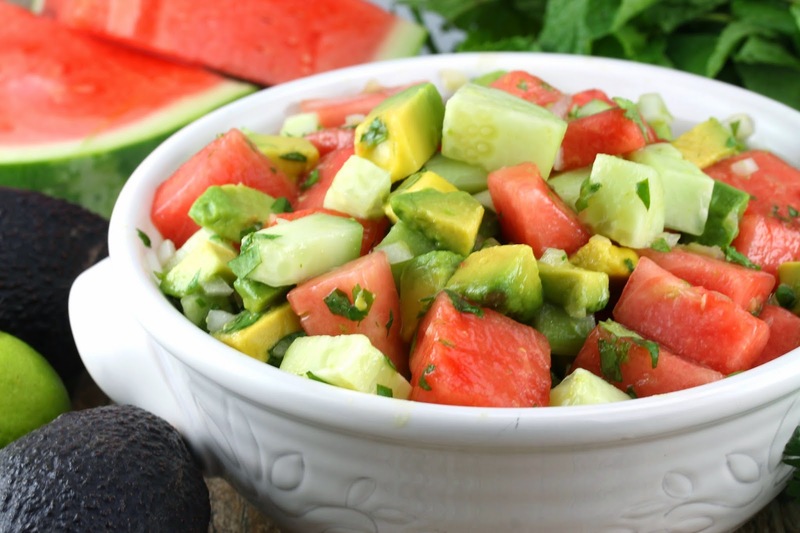 It utilizes all those fresh summer favorites and yields a light, flavorful, and somewhat adventurous watermelon salad that most people will find quite refreshing. It’s a perfect summer side dish for those wanting to branch out. Go ahead, see what watermelon has to offer! 1. 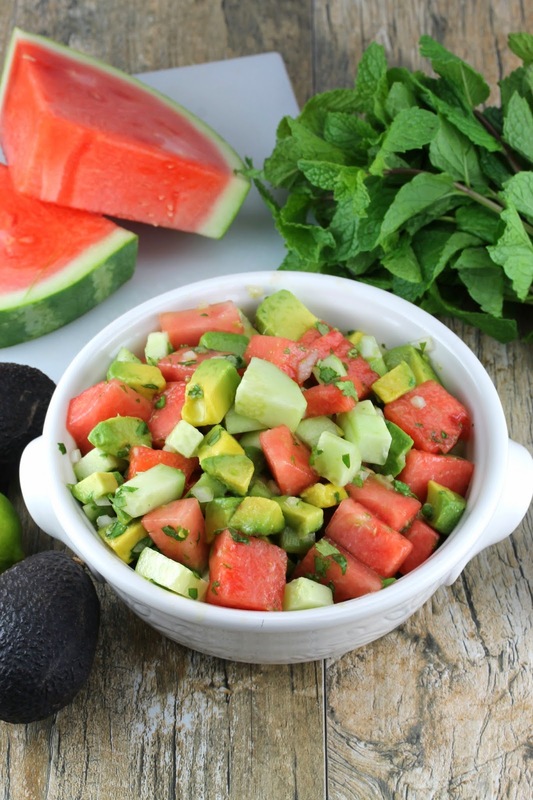 Combine watermelon, avocado, cucumber, mint, basil, and cilantro leaves in a large mixing bowl. 2. 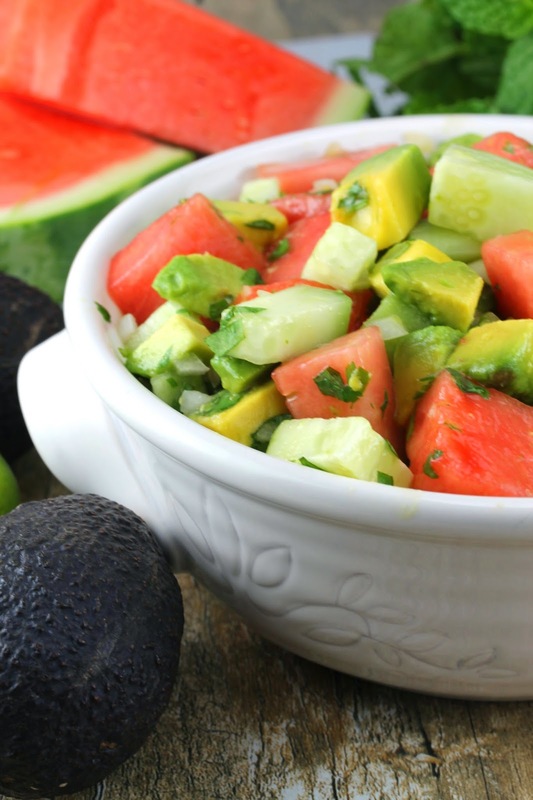 Add in avocado and pour lime juice over the salad and stir carefully so you don’t mash the avocado up too much.